Thomas Cauvin, PhD (*1979), est Maître de Conférences en Histoire Contemporaine à l’Université d’Etat du Colorado (Etats-Unis d’Amérique). Né en France (1979), Cauvin a soutenu sa these, Mobilization and use of the past in Irish and Northern Irish National Museums between 1921 and 2006 à l’Institut Universitaire Européen de Florence (Italie, 2012). Président du Comité Exécutif de la Fédération Internationale pour l’Histoire Publique, Cauvin est en charge de plusieurs projets transnationaux d’Histoire Publique. Cauvin est également l’auteur de Public History. A Textbook of Practice (Routledge, Mai 2016), manuel universitaire de présentation des différentes pratiques de l’Histoire Publique, ainsi que de plusieurs travaux sur l’internationalisation de l’Histoire Publique, le développement de l’Histoire Publique en Irlande, et sure les relations entre conflits mémoriels et Histoire Publique. Il a également participé à l’organisation de conferences pour le National Council on Public History (Monterey 2014; Indianapolis 2017), et pour la Fédération International pour l’Histoire Publique (Amsterdam 2014, Bogotá 2016). En tant qu’historien publique, il travaille actuellement sur la conservation du patrimoine linguistique francophone de Louisiane. 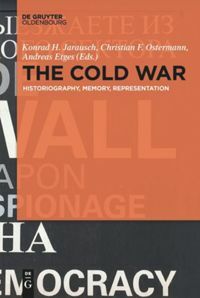 Thomas Cauvin, PhD (*1979), is Assistant Professor of History at Colorado State University (USA). Born in France, Cauvin received his PhD at the European University Institute (Florence, Italy, 2012) for his research on the mobilization and use of the past in Irish and Northern Irish National Museums between 1921 and 2006. New President (January 2018) of the International Federation for Public History (IFPH), he developed several international projects. He is the author of Public History. A Textbook of Practice (Routledge, May 2016) that introduces readers to the many facets of the field. He has also written on the Internationalization of Public History (2016), the rise of Public History in Ireland (2017), and the relations between Public History and Conflicting Memories (2017). He has been part of the program committee for annual conferences of the IFPH (2014, 2016) and National Council on Public History (NCPH, 2013, 2016). As public historian, his work in Louisiana focuses on French-speaking communities and the preservation of their heritage through History Harvest, virtual collection, and Documentary films. Thomas Cauvin, Dr. phil. (*1979), ist Assistenzprofessor für Geschichte an der Colorado State University (USA). Er wurde in Frankreich geboren, promovierte 2012 am Europäischen Hochschulinstitut in Florenz (Italien) mit einer Arbeit zur "Mobilisierung und Vergangenheitsgebrauch in irischen und nordirischen Nationalmuseen zwischen 1921 und 2006" [Übersetzung]. Ab Januar 2018 ist er der Präsident des internationalen Public-History-Verbandes (IFPH), er leitete verschiedene internationale Projekte. Er ist Autor des Buches "Public History. 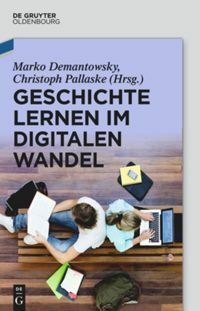 A Textbook of Practice" (Routledge, Mai 2016), das LeserInnen auf vielfältige Weise in das Thema einführt. 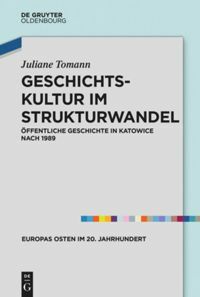 Er hat über die Internationalisierung der Public History (2016) publiziert, den Aufstieg der Public History in Irland (2016) und die Beziehungen zwischen der Public History und konfligierenden Gedächtnissen (2016). Er war Mitglied des Programmkomitees für die jährlichen Tagungen der IFPH (2014, 2016) sowie für den National Council on Public History (NCPH, 2013, 2016). Seine Arbeit als Public Historian in Louisiana konzentriert sich auf auf die französischsprachigen Gemeinschaften und den Schutz ihres kulturellen Erbes durch "History Harvest", digitale Sammlungen und Dokumentarfilme. The recent controversies over colonial and Confederate monuments is somehow misleading. Most of monuments go unnoticed. We are at a crossroads for the spread of public history and we need to consider the possibility that we could all become public historians.